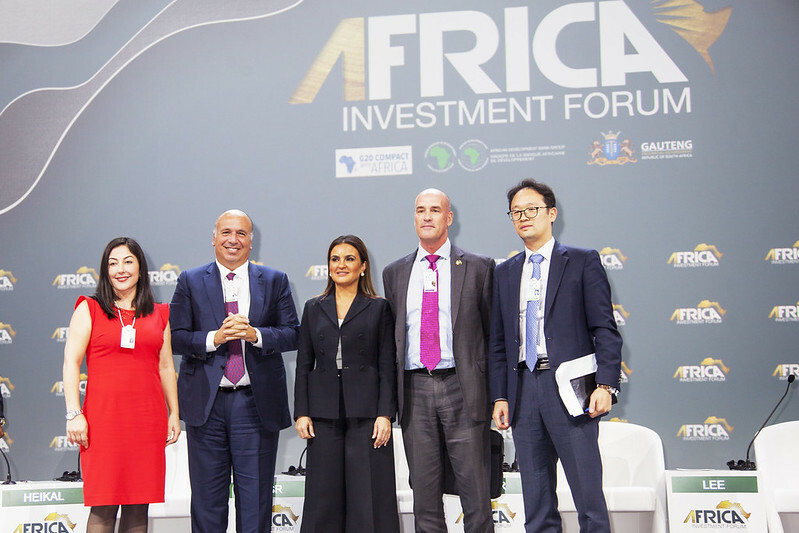 As part of the Africa Investment Forum, ministers from the G20 Compact with Africa (CwA) assess its impact and role in driving private sector investment into Africa. Five African Ministers, from South Africa, Cote d’Ivoire, Ethiopia, Morocco and Tunisia and four ministers from Canada, Germany, Norway and the USA, held a plenary session in the Sandton Convention Centre on the first day of the Forum in Johannesburg, South Africa. The speakers said the Compact had opened channels for synergies around attracting investment and creating conducive environments for business. In 2017, the G20 Compact with Africa was initiated under the German G20 Presidency to promote private investment in Africa. The compact’s primary objective is to increase the appeal of private investment through substantial improvements of macro, business and financing frameworks. It brings together reform-minded African countries, international organizations and bilateral partners from the G20 and beyond, to coordinate country-specific reform agendas, support respective policy measures and advertise investment opportunities to private investors. The initiative is demand-driven and open to all African countries. Since its launch, the CwA has sparked great interest. To date, eleven other African countries have joined the initiative: Benin, Côte d’Ivoire, Egypt, Ethiopia, Ghana, Guinea, Morocco, Rwanda, Senegal, Togo and Tunisia. They have sent a strong signal to private investors about their interest in attracting investment and implementing needed reforms. As for the G20, it has ensured high political visibility, and raised investor awareness and confidence towards these countries. “With the support of the CwA, Cote d’Ivoire has identified four priorities for policy reforms to encourage foreign investments: reliability and security of supply, access to energy for all, integration of environmental approach, and regional energy hub,” said Sabati Cisse who was representing Cote d’Ivoire’s Minster of Petroleum, Energy and Renewable Energy, Thierry Tanoh. Within a year, the CwA has become a key driver in transforming Africa into a dynamic marketplace, while boosting inclusive growth. The innovative initiative has also reassured investors, and helped to attract private sector investments. “You can see the Compact with Africa as a brand. If you are a foreign investor, that ensures you have a sound and safe environment to invest in Africa because the Compact countries commit themselves to reforms and rule-based systems where investors are welcome and find the environment that is needed to do business,” said Wolfgang Schmidt, State Secretary of the Federal Ministry of Finance, Germany. The G20 Compact with Africa also aims to be one of the main drivers of transformation on the continent. One of its objectives is to fast track the number of countries joining CwA within the next three years.